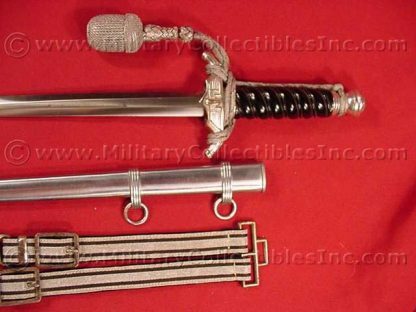 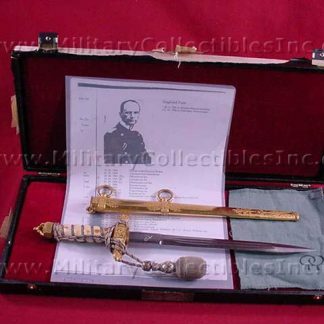 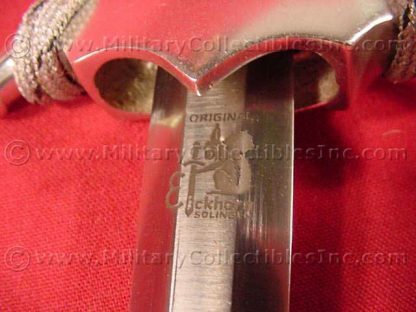 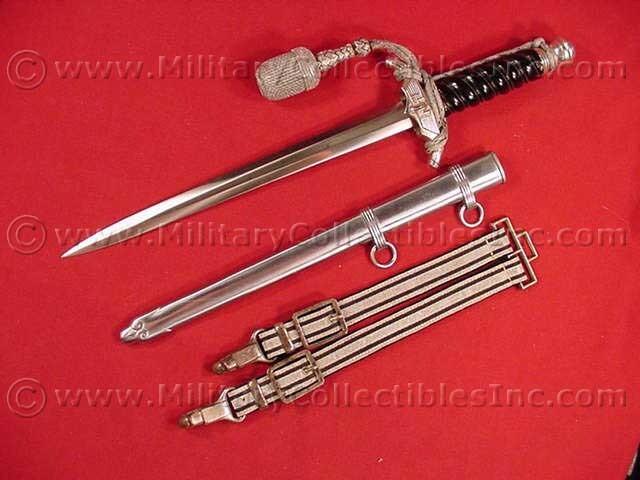 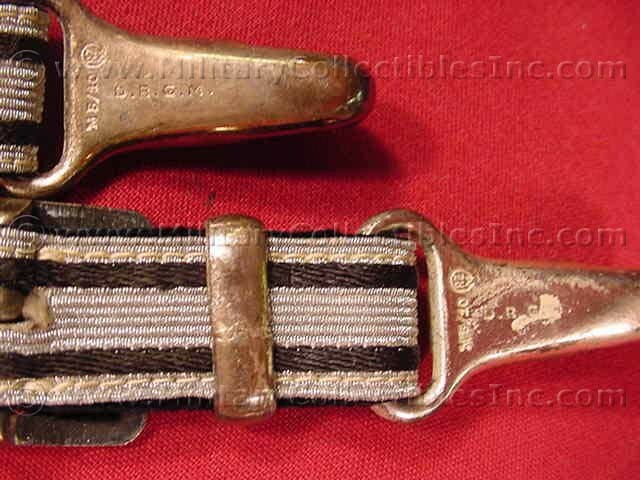 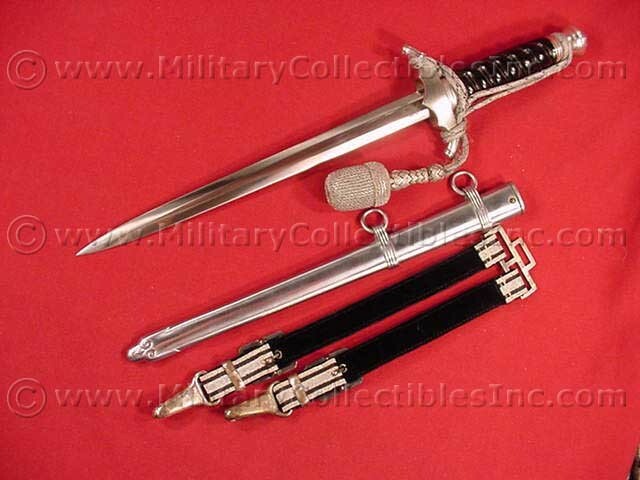 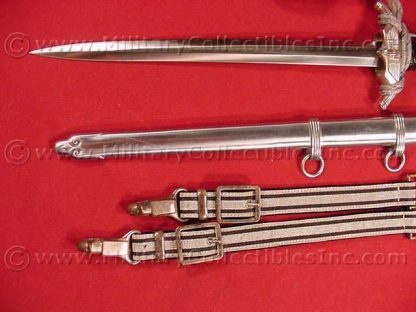 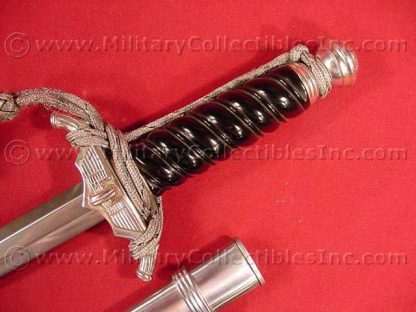 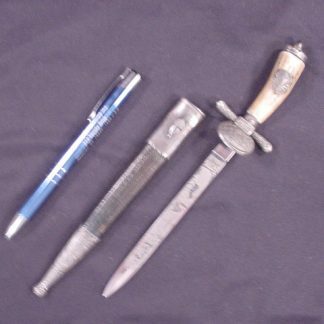 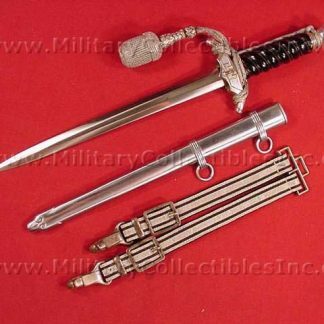 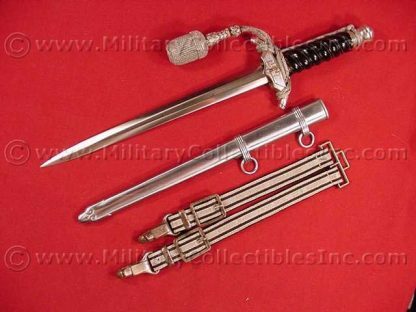 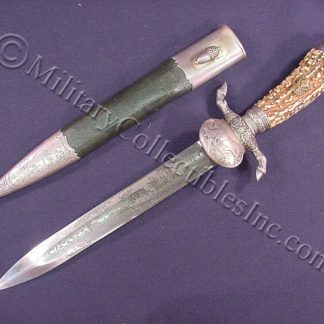 2nd Model Railway dagger by Eickhorn – Military Collectibles, Inc. 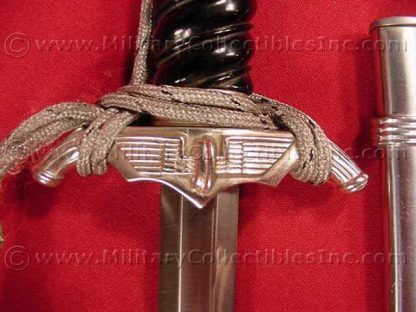 Absolutely MINT mint condition. No damage whatsoever, and no wear. 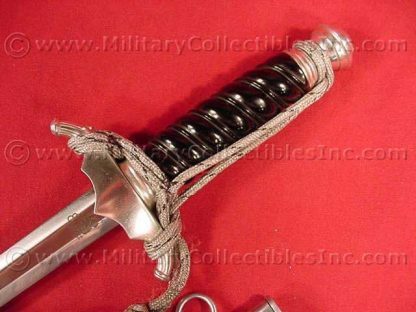 Virtually as if this piece came out of a time warp. 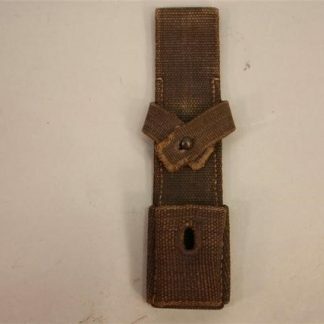 Has a nice original portepee which has actually been stitched in place so that it would not move around. Has the proper flaw on the left wing. 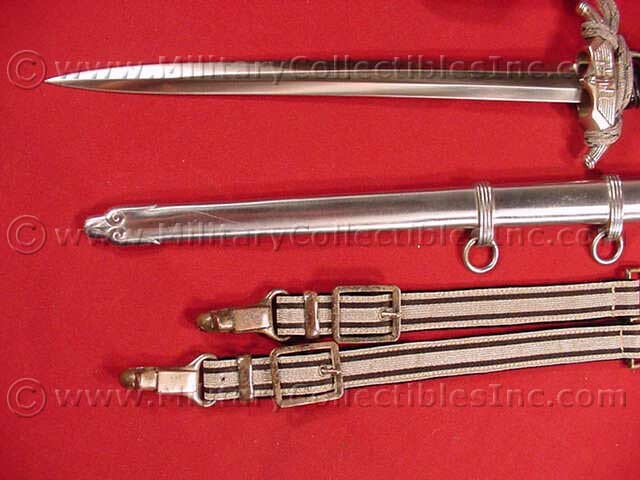 Comes with its original set of deluxe hangers. 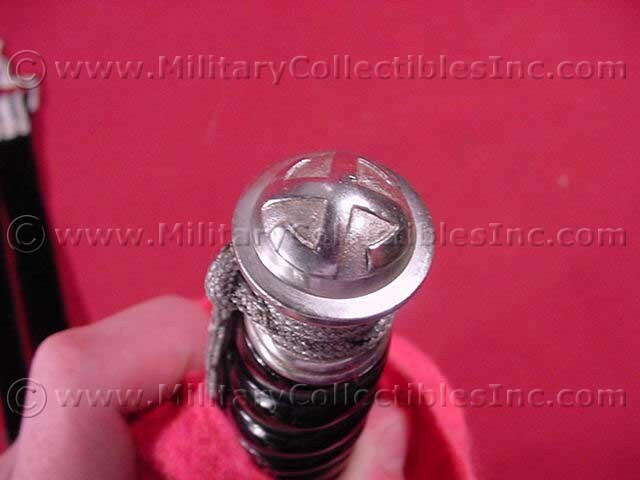 The hangers also, are virtually flawless, except for one very small hole at the bottom of the right hanger.